This is an updated version of my CAE/C1 ice-breaking activity for the first class of a course. Click this link to the prezi (you’ll only need the first 5 slides). Obviously it’s tailored to my interests but you’ll get the idea and be able to adapt to your own. First I flash up the sentences with the adjective/verb + preposition combination (petrified of) etc. and tell them that some are true and some are false. They have to decide which are true and which are false in pairs. Award points to the pairs who guess correctly. Then test them on the prepositions by flashing up the slide with them omitted. Then they have to write 4 sentences using the same combinations, some true some false and read them to their partner, who has to guess which are T/F. Then the next bit is 6 sentences with some nice phrases about personal interests etc. “I’m into….” etc. I show them my examples (they’re all true) and let them ask me some questions. Then they have to complete the sentences so they’re true for them. Then they have to mingle around the class reading their sentences to each other, flash up the expressions for showing interest: Uh-huh, mm-hmmm etc. and encourage them to use them. Tell them that they should try to remember as much information as they can about their classmates. While they do this, monitor and board any emergent language to look at later. “He has a burning ambition to meet Messi.” etc. Award 1 point for each correct bit of info. The idea is that they’re recycling the 6 expressions over and over and getting to know each other at the same time. This is my version of the classic “Find someone who…” speaking and ice-breaking activity designed for teenagers for the first class after the summer holidays. I’ve also added a version for adults. Students get 20 questions to guess where the teacher went on holiday. Allow students to ask you more questions to find out some information about the holiday. Project the handout onto the board. Students must circulate, speaking to all their classmates until they have found someone who did all of the listed activities during the summer holidays. When they find someone who has done one of the activities they must also ask them for some details and record them in the details column. Did you go to another continent? The winner is the first person to find someone people who have done each of the things on the list or prove that nobody has done them by speaking to everyone. Try to speak to everyone in the class. You must find someone who did the following things in their summer holidays. 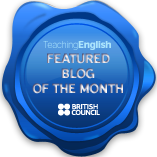 Thanks to Nicky Hockly at The Consultants-e for the inspiration for this lesson plan. It’s an icebreaking lesson in which students can use their mobiles (shock horror) for intermediate levels and up. In a new class students are always keen to learn a bit about their new teacher and if you’re willing to share and personalise your classes the students will reciprocate with you and each other. So start by projecting some photos of things from your life on to the board with some sentence stems for deduction. I bet you €X that’s his brother. Drill sentence stress and intonation. Then put students in pairs and show them some of the pictures. Monitor them as they make guesses about who the people in the pictures are and have students share their deductions with the class. Award points for correct guesses. You take after (your Dad) – you look/act the same. The others in the group must use the language of deduction to guess what the picture is and then they can ask questions to discover more information about their partner. How long ago did you take this photo? Where were you when you took the photo? How long have you been …ing? Your Dad works in finance? No way, mine does too! Give SS 10-15 minutes to talk, encourage the use of the vocabulary, award points to groups using the most. Students then report back to the class about the favourite photo their classmates showed them. If you can, project the photos onto the board so the whole class can see them. Here are some ice breaking activities for a first class with a CAE group.The idea is to get students talking and also to recycle and refresh some grammar and vocabulary that they should have covered in the FCE. 1. I’m petrified of heights. 2. I’m brilliant at football. 3. I’m interested in studying German. 4. I’m proud of English cuisine. 5. I’m dreadful at cooking. 6. I’m pessimistic about my football team’s chances. 7. I’m famous for making a delicious Spanish omelet. 8. I’m fond of basketball and rugby. 9. I’m dissatisfied with my team’s 1-1 draw at the weekend. 10. I’m allergic to walnuts. Dictate the 10 sentences, have your students write them down, then project them or write them on the board. Tell students that five of the sentences are true and five are false. Put the student in pairs and have them discuss the sentences, they can ask you questions to try and catch you in a lie. After about 5 minutes tell students to come to a decision about which are true/false and explain their reasons: “We don’t reckon you’re interested in studying German because….” the team with the most correct answers wins. Use the opportunity to share some information about yourself with your students. Students can use any of these or the ones you used in your 10. Clear up any of the vocabulary and then give students 5 minutes to come up with their 10. Students read out their 10 sentences to their partner and discuss them trying to guess which are true and which are false. Focus should be on repetition of the adjective + prep but also allow them to chat freely to get to know each other. Change partners and repeat as many times as you like. Go round the class and have students share any surprising things they discovered, or any of their false sentences that fooled their classmates. The next slide can be used at the end of the class as a recap of the prepositions from your original ten sentences. 1. I’m petrified __ heights. 2. I’m brilliant __ football. 3. I’m interested __ studying German. 4. I’m proud __ English cuisine. 5. I’m dreadful __ cooking. 6. I’m pessimistic __ my football team’s chances. 7. I’m famous __ making a delicious Spanish omelet. 8. I’m fond __ basketball and rugby. 9. I’m dissatisfied __ my team’s 1-1 draw at the weekend. 10. I’m allergic __ walnuts. 2. Make 2 wishes, 1 present wish and 1 past. I wish I had brown hair. I wish I was shorter. I wish I had studied Spanish at school. I wish I hadn’t stayed up so late last night. 4. What’s your earliest memory? Again you might need to tailor the questions a bit. Put students in pairs and have them ask and answer all 6 questions, but first tell them that they have to remember all of the information that their partner tells them. The idea is to get students using the complete grammatical structures so remind them that they have to ask each other the complete questions (not just say “what about number 2”) and give complete answers (I have included the sentence stems). Tell students that they have 10 minutes to ask and answer all of the questions to every person in the class and that they need to remember all the information. When the 10 minutes is up, split the class into two teams. Ask for a volunteer from team 1 to come to the front of the class and sit in the hot seat, team 2 then have to remember all of that volunteer’s answers to the 6 questions, they receive 1 point for each answer they remember correctly. Remind them to use the complete grammatical structures, this way they are recycled multiple times. Then team 1 has to remember a member of team 2’s answers. Repeat until everyone has been in the hot seat. By the end of the class you will have hopefully learned all your student’s names, a bit about them and refreshed some grammar and vocabulary.